Well it’s been a pretty good year considering all the website problems encountered in 2016. It’s been great to see some regulars and plenty of new people who attended tours in Cinque Terre, North Devon, our new tour in Puglia and to finish off the year with back to back tours in Venice. In the background I’ve been working hard researching new tours and outside of photography with a building project and personal website build. Looking forward to 2018… check the website for dates, details and booking information. At the end of September 2017 the decision was taken not to renew our ATOL licence, this means that all out tours are now ‘Land Only’ with no flights. However, all information, help and advice will be given to assist you when you book your own flights. Transfers are still included so you can have confidence in booking with Ventura. In compliance with the UK’s Package tour Regulations, your money is held in a Trust Account and is only released when you have completed your photo tour. To sign off, I would just like to wish you all a happy Christmas and New Year and look forward to seeing you in 2018. 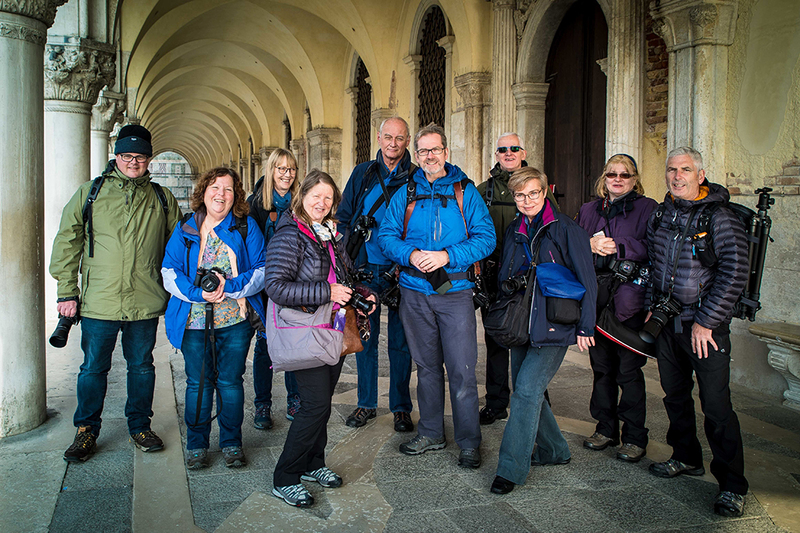 Image courtesy of Manoj Chudasama, WASPs #weallshootphotos group shot taken during Venice tour November 2017.